Shine your way through in these show-stopping oversized beaded diamante earrings! 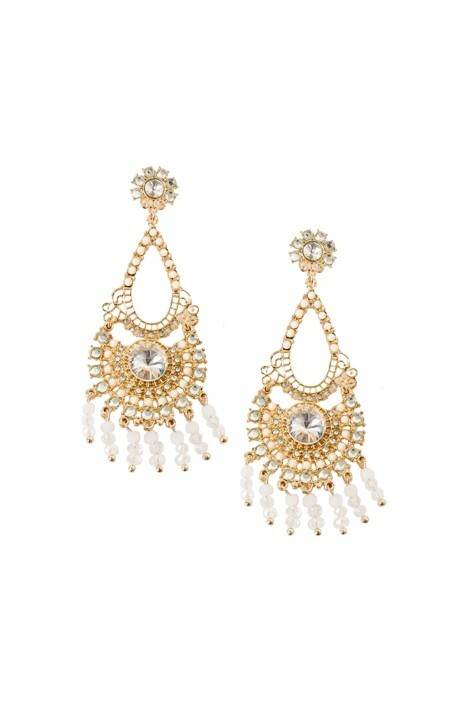 Featuring a teardrop silhouette in a gold plated metal, crystal and beads. The perfect accessory for a black tie event, red carpet or night out! Hire a full length gown in white to a black tie event or a floral mini for a pop of summer fun! Style your hair in a sleek ponytail or relaxed curls. Go for a bronzed makeup look along with a black clutch available to hire to complete the summer look! Read our post on engagement party customer story for inspiration.